With a focus on quality teaching and a love for dance, the students in our competitive programs can choose from a wide variety of genres including Ballet, Tech, Contemporary, Lyrical, Jazz, Hip Hop, Acro, Musical Theatre, and Tap. Students choosing the competitive program participate in various dance competitions throughout the year and are required to take a certain number of classes (depending on the age and the level). Ballet is the foundation for dance at KIUAN so all dancers (except those specializing in hip hop) in our competitive program are required to take Ballet (from our Royal Academy of Dance certified ballet instructors) and Tech classes. Dancers also often participate in the R.A.D. Ballet exams in the spring. The competitive program is designed to technically challenge and support dancers at their level while also creating a love for dance. Competitive students are also strongly encouraged to participate in KIUAN Company classes that feature dedicated dancers aged 6-18. The company classes are larger and because of the skill level and size, are able to experience enhanced opportunities with choreography and performances. 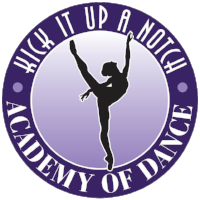 If you are interested in taking dance to a whole new level of technique and passion, contact us today!